One of the really funny things about processing all of the Gallery entries is how diverse it is - everytime I think "wow, that's a lot of Rivendells in a row...", I get a set like today's. Then, there's Anton Tutter's Shogun - wow. When I saw the images, I thought it was a Toei, and to read his description of the restoration/conversion of this rig was pretty impressive. After that, a couple examples of gorgeous Italian steel classic lightweights - Frank Paxton's Basso Gap (racy, chromed lugs, three-tone paint - what's not to love?) and Clive Standley's DeRosa Neo Primato (a race rig made stylish and useful with the tasteful addition of new parts). In the end, though I ended up with Randy Pugh's Trek 660, for...well... reasons I'm about to mention. Trek road bicycles from this period (1980's) have always struck me as tremendously underrated and generally overlooked bicycles. They are the bicycles which I've probably always wanted to have one of, despite never having actually ridden one. Yeah, I know. That makes no sense. But, hear me out. They were mostly production bicycles, crafted in the USA. They didn't have the panache of the Italian thoroughbreds, lacked the racing pedigree of the California Masi's, Peugeots and what have you. They were good, simple, lugged steel frames. They seemed a dime-a-dozen at the time. 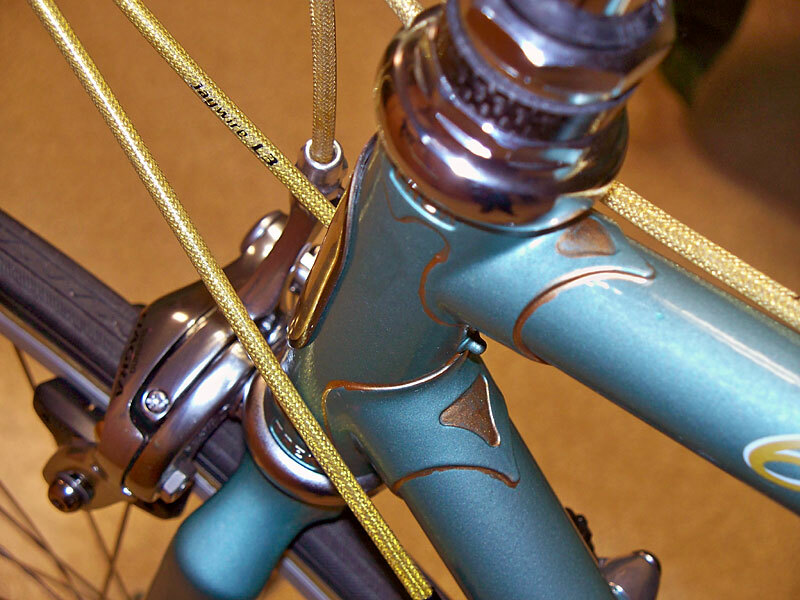 They had lighter gauge race-oriented frames and they had canti-brake and braze-on rigged touring models. They were, to be blunt, often regarded as the bikes you upgraded from. To look back on them now, it seems like they have so many of the things which are generally gone from bike models today (though, arguably, that is thankfully starting to return.) Good clearances, clean lines and useful braze-ons. With this bike, Randy has added on some newer bits, which also strikes a chord with me. When you see so many riders today turning over "last year's" model on Craigslist or eBay, selling the whole thing - frame, fork and components - at fire sale pricing, it's encouraging to see a good, useful frame being used. I think it helps remind people how a well designed bicycle frame can continue to evolve and be enjoyed.